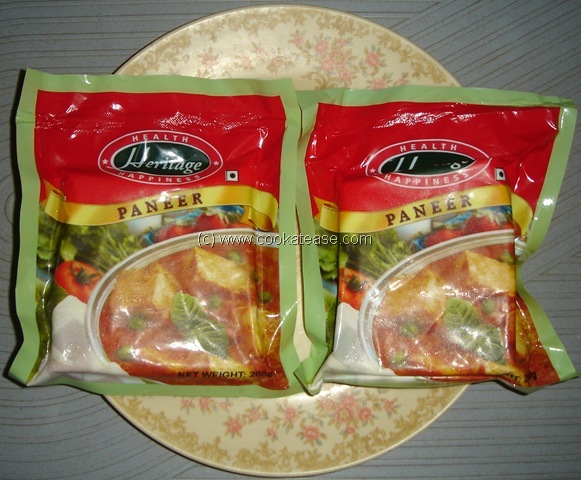 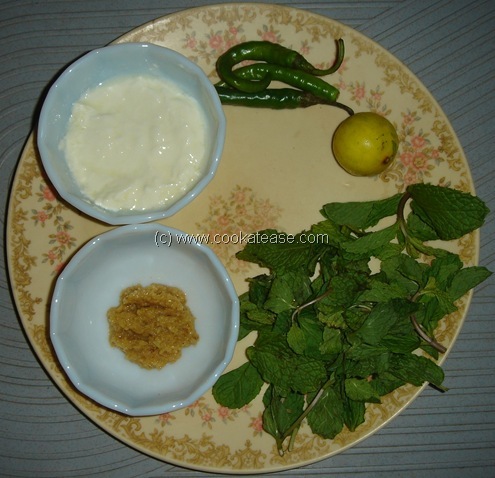 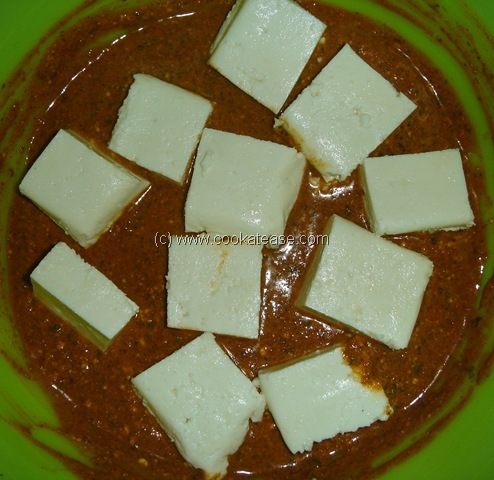 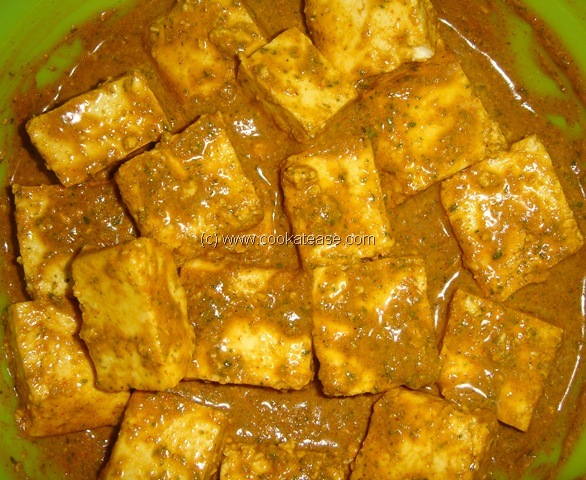 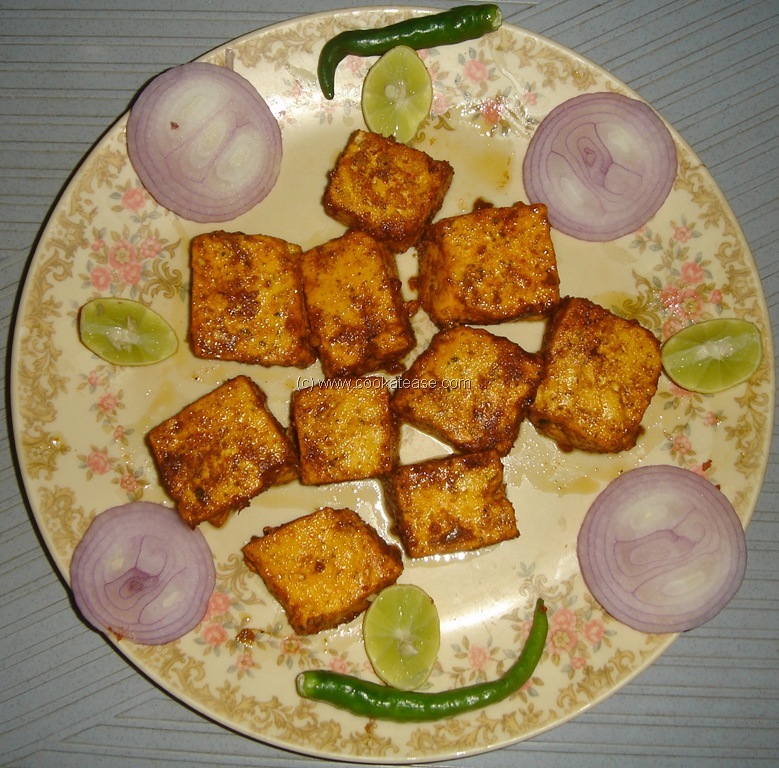 Paneer (cottage cheese) is a milk based product and is sold in the market for ready use. 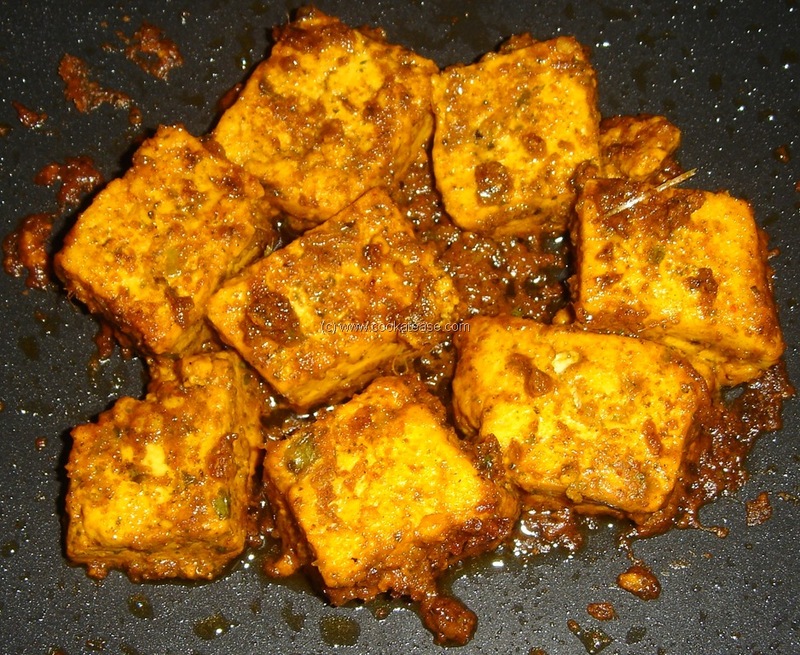 Paneer tikka can be prepared in a fry pan. 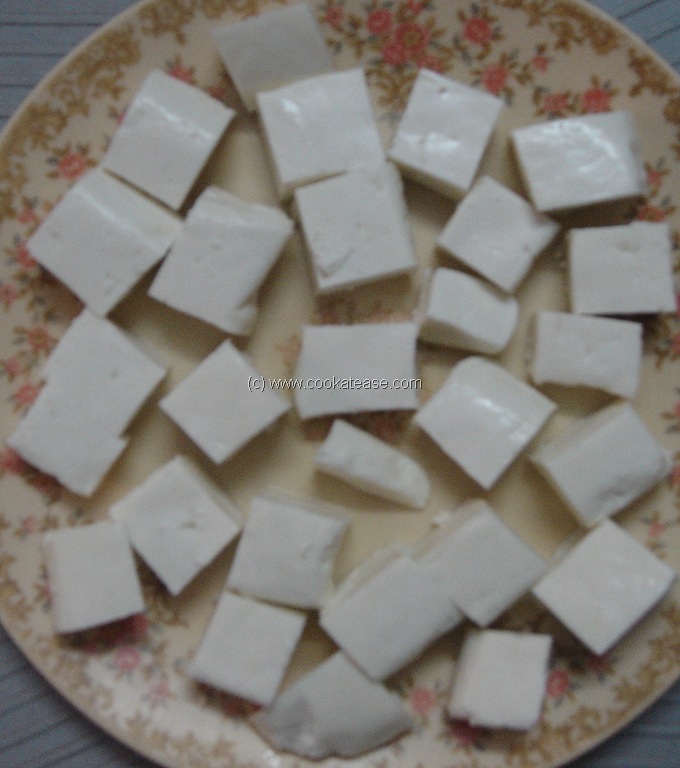 Fresh Paneer – 400 grams. Wash and cut the paneer into 2 by 2 inch pieces. Grind the items given for grinding to a smooth paste. Mix the paste with paneer pieces and marinate for 45 minutes. 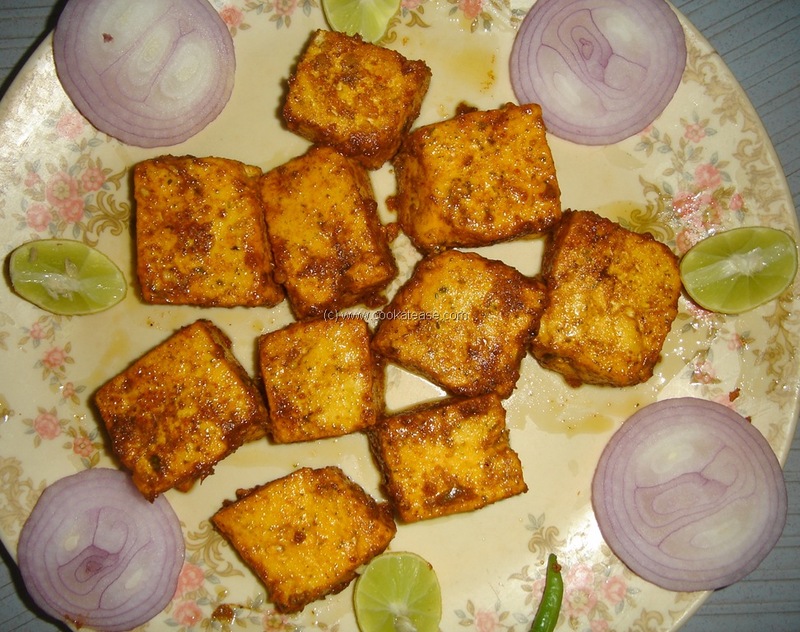 Shallow fry the paneer pieces in a pan (tava) in low flame on both sides to golden colour. Serve hot with cut onions and lemon pieces. 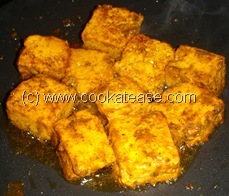 use as less oil as possible to fry in low flame. 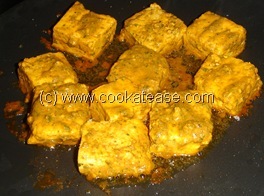 Suitable as a side dish with rice or chapatti.